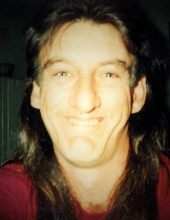 Paul Michael “Mike” Moore, 58, of Ashland, passed away Wednesday, March 20, 2019 at Community Hospice Care Center. Mr. Moore was born April 9, 1960 in Ashland, Ky to John Moore, Jr of Ashland, KY and the late Viola Marie Mullins Moore. Mike was a graduate of Boyd County High School and a General Contractor. He loved spending time with his family, and enjoyed fishing, his favorite hobby. Mike is survived by his father, children, Jonathan Moore, his wife Cindii, of Rush, KY and Tiffany Swafford of Rush, grandchildren, Angel, Jonathan, Blaklie, Kaylee, and Zayden. Also surviving are brothers, John Moore, III, of Ashland, Marty Moore of Ashland, Tim Moore of Ashland, Elbert C. Bowe, Jr of Rush, sister, Dana Moore of Rush, niece, Amanda Moore, nephew, Jason Moore, extra special great niece, Libby Moore, and special great nephew, Jayson Moore. He was preceded in death by his Mother, wife, Alice Marie Swafford Moore, brother, Jerry Raymond Moore, and son David Swafford. Funeral Service for Mr. Moore will be at 7:00pm Monday, March 25, 2019 at the Neal Funeral Home, 2409 Center Street, Catlettsburg. Bro. Jack Powers and Bro. Gene McCall will officiate. Visiting hours are 5:00pm until Service Time Monday evening at the Funeral Home. Special Thank You to ICU at Kings Daughters Medical Center and Community Hospice Care Center. To send flowers or a remembrance gift to the family of Paul Michael Moore, please visit our Tribute Store. "Email Address" would like to share the life celebration of Paul Michael Moore. Click on the "link" to go to share a favorite memory or leave a condolence message for the family.